2019 Audi E-tron – price, specs and release date | What Car? Next year is shaping up to be the year of the electric SUV. Jaguar’s I-Pace will be finding its feet as more hit the roads, Mercedes and BMW will be launching the EQC and upcoming iX3 respectively, and Tesla’s Model X will be quaking in its tyres, dreaming of a time when it had this market all sewn up. And then there’s Audi, whose E-tron you see here. The new electric luxury SUV sits between the existing Q5 and Q7 in Audi’s range, though sits lower to the ground than the Q5. 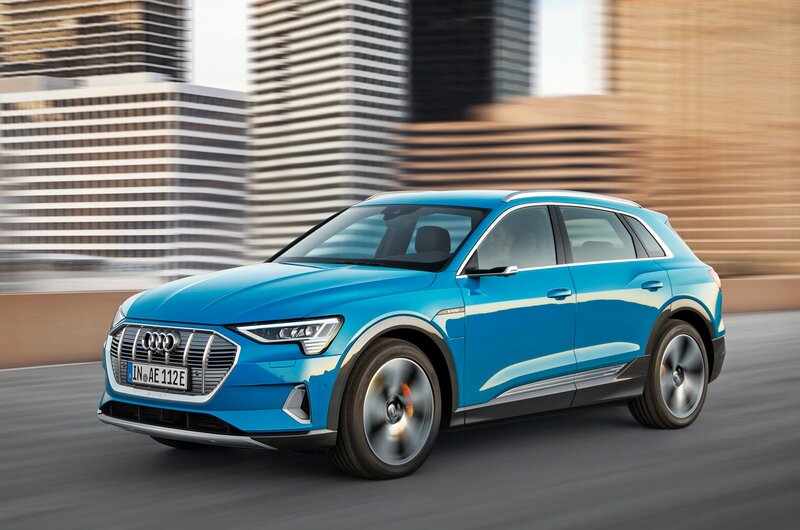 As well as a bold look that separates it from other SUVs in Audi’s line-up, the E-tron features contrasting paintwork around its lower edges to emphasise its off-road prowess. 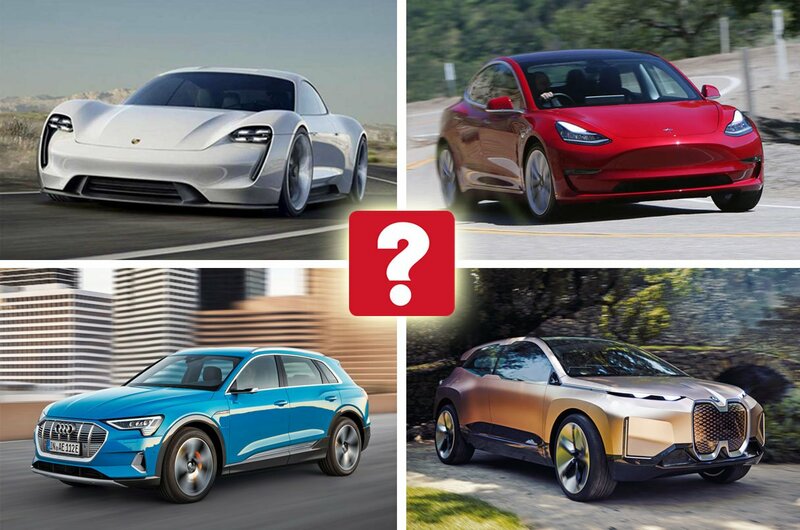 The E-tron is one of 12 cars in contention for the 2019 What Car? Reader Award, where you can vote for the most highly anticipated new car of 2019. Head over to our voting site to cast your vote. In a first for production cars, buyers can opt to remove the car’s door mirrors and replace them with cameras that feed into small screens inside, helping to make the car more aerodynamic. 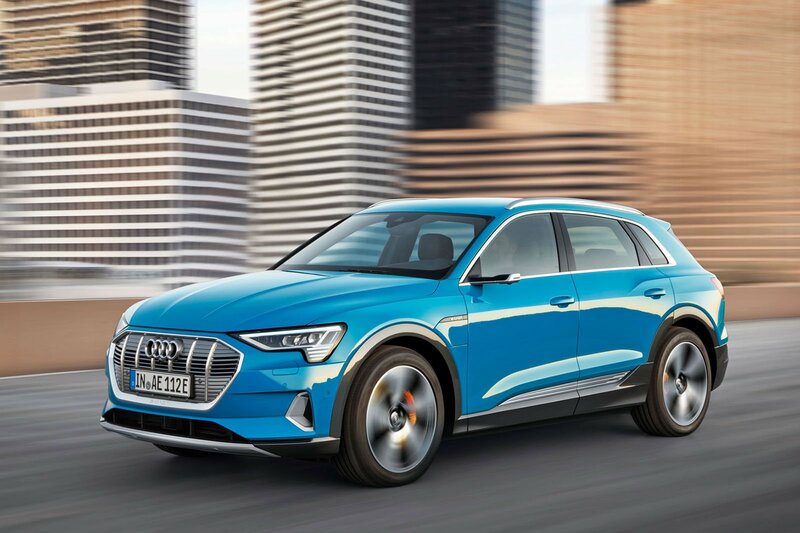 Other features designed to make the E-tron as slippery as possible through the air include special 19in alloy wheels and a smoother underside that also protects the battery from impacts. The E-tron is powered by two electric motors placed on each set of wheels, giving the car four-wheel drive. The motors produce a combined 402bhp, allowing the E-tron to cover the 0-62mph sprint in less than six seconds and accelerate on to a top speed of 124mph. The latest WLTP tests give the E-tron a range of 249 miles on a single charge – that’s similar to the Mercedes’ EQC, but the I-Pace will take you around 40 miles up the road before needing to recharge. 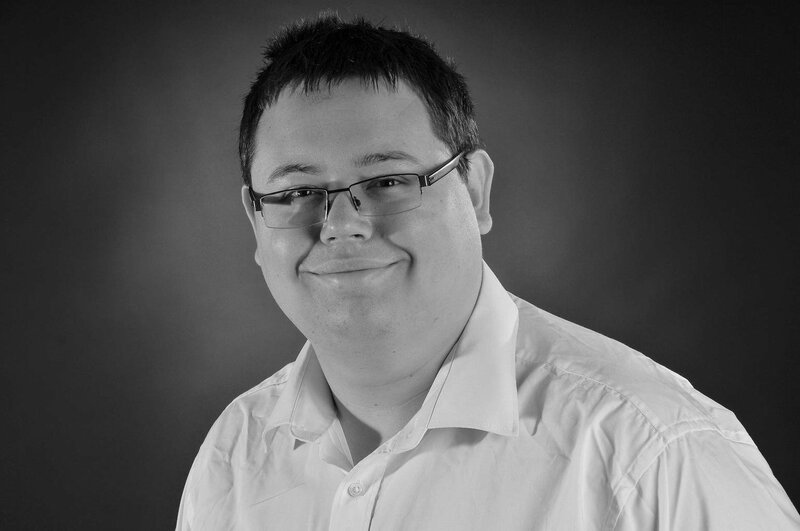 As ever, though, take those figures with a pinch of salt, because what you’ll achieve in real-world conditions depends on everything from ambient temperature to the eagerness of your right foot. 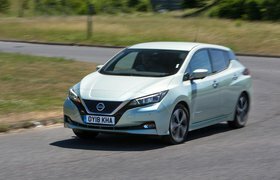 In the Nissan Leaf for example, we managed just 108 miles before needing to recharge, although that test was conducted in chilly conditions. 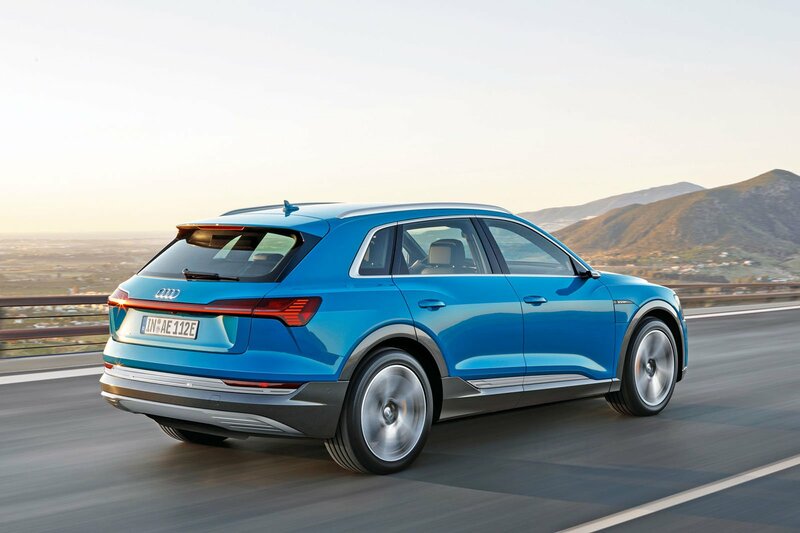 As with other electric cars, too, extra energy is harvested from braking and coasting and fed back into the battery – Audi says this contributes to about 30% of the car’s range. Air suspension and adaptive dampers come as standard, which should ensure a comfortable ride. This also plays a part when the E-tron goes off-road, with the car's body rising by up to 50mm for extra ground clearance. The electric Audi is capable of towing up to 1800kg too. If you’re charging the E-tron at home, expect a full charge to take around 8.5 hours, which can be halved by using an optional high-capacity charger. When using the fastest chargers available (150kW) the E-tron can be charged up to 80% of capacity in 30 minutes. Inside, the E-tron is familiar Audi territory, with the Virtual Cockpit replacing traditional dials and two touchscreens mounted on the centre console – the upper 10.1in screen runs Audi’s MMI infotainment system and displays things like the sat-nav, while the lower 8.6in screen is given over to climate controls. While it looks fancy, our experience with this system in the A8 and A6 saloons suggests it could be clunky to use on the move. 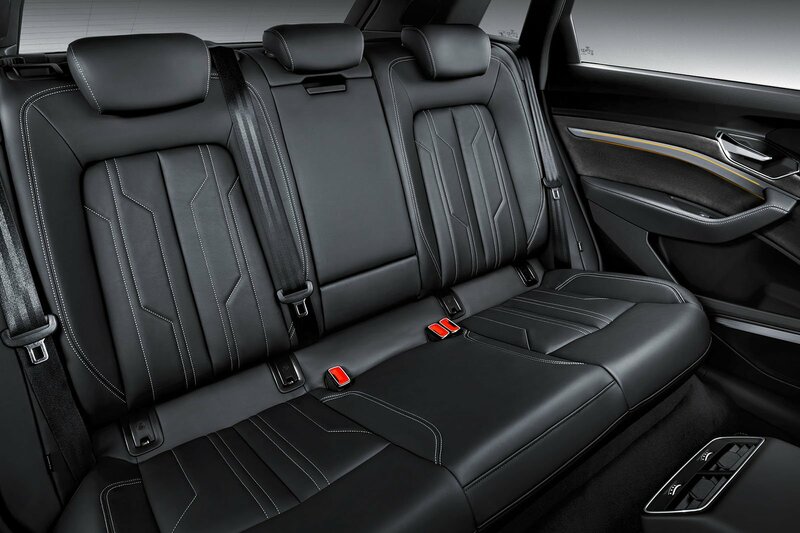 Audi claims the E-tron will beat its SUV rivals in terms of both head and leg room for rear passengers. It’s certainly got the largest amount of storage space: its 660 litres comfortably outstrips the EQC and I-Pace, so a family-size load of suitcases should pose no trouble – that figure also includes the small boot at the front of the car where you’d normally find an engine. Official prices have yet to be revealed, but the E-tron is expected to cost around £71,000, with the government’s £4500 electric vehicle grant taking that down to about £66,000. At that price, the E-tron will be slightly more expensive than both the Jaguar I-Pace and the Mercedes EQC. The E-tron is just one of a number of new electric cars coming in the next few years, and if you're thinking of switching to electric power with your next car, you'll want to know what's on offer. In this next story, we'll tell you what's on the way.